Tough question. I’ve been back to boat work for two weeks now, varnishing the Nerka’s rails while wondering how to tell you about one of the best experiences of my writer’s life. First, I need to tell you how remarkable the North Words Writers Symposium’s very existence is. 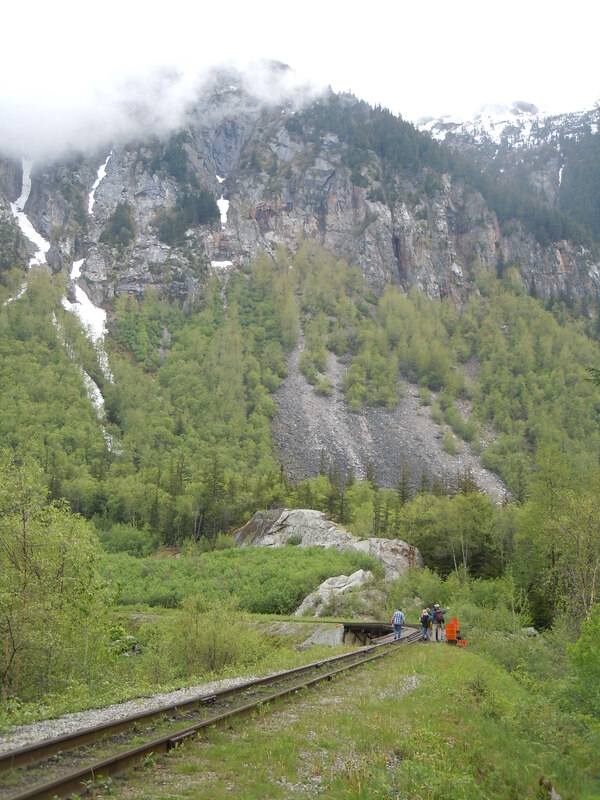 It began with a dream, when Skagway Tourism Director (and community heart) Buckwheat Donahue imagined a celebration of the written word in Southeast Alaska. Local publisher/bookseller Jeff Brady and writer Dan Henry shared Buckwheat’s dream, signing on as co-organizers. 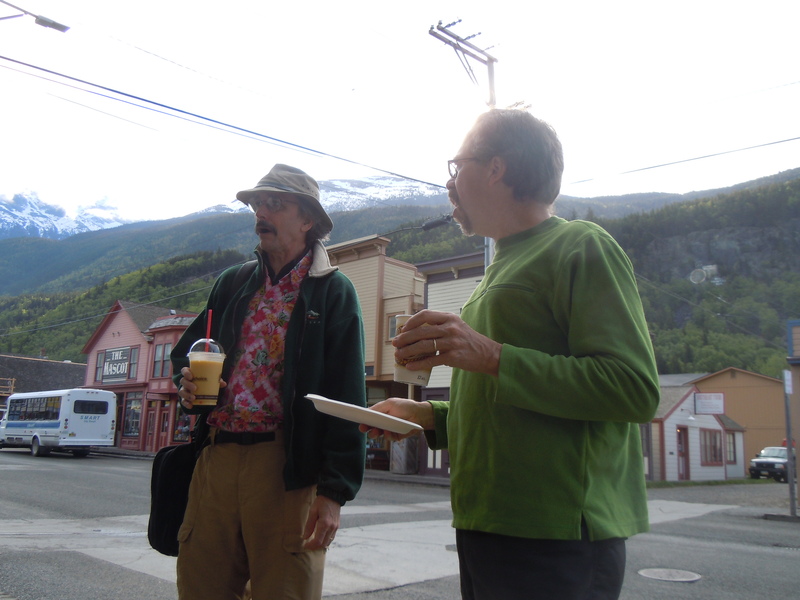 Thanks to these three and support from the City of Skagway, Sergeant Preston’s Lodge, Alaska Magazine and others, 2012 marked the North Words Writers Symposium’s third year. Drawing prestigious faculty – a Pushcart Prize, Shamus Award, even an Academy Award nomination among them – this all takes place in a town that’s one-and-a-half miles long by four blocks wide. 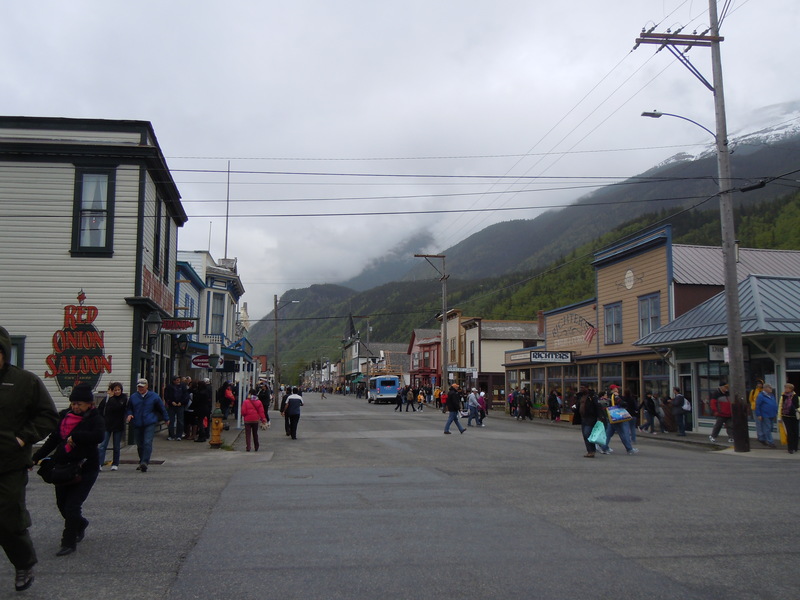 With four cruise ships in town on my arrival date, Skagway’s population of 880 jumped to 10,000. Smart fella. I can tell you my “I’ll just stay long enough to be polite” exit strategy didn’t last long. By evening’s end, when the Red Onion staff herded me toward the door, I felt dizzied by the non-stop conversations. Genuine and generous, the authors tore down the walls my lit star-struck self had imagined. A spirit of inclusivity defined the next three days. 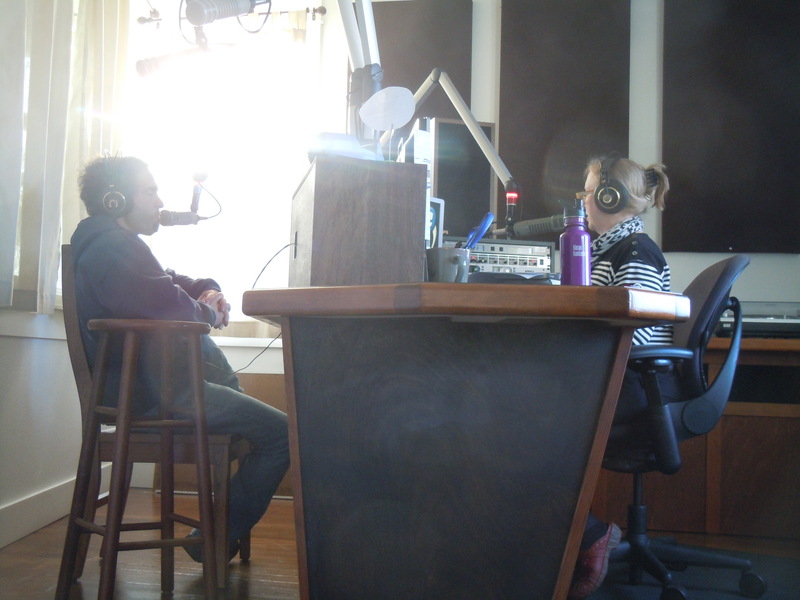 LONG days – 15 hours together, talking books, writing, and Alaska with passion that never waned. We were an intimate group, eight faculty members to 40 participants, together from breakfast to late into the night. For the writers amongst you, I’d love to rehash every panel. Heather Lende moderated a fantastic discussion on memoir, with Seth, Kim Heacox, and Deb Vanasse. 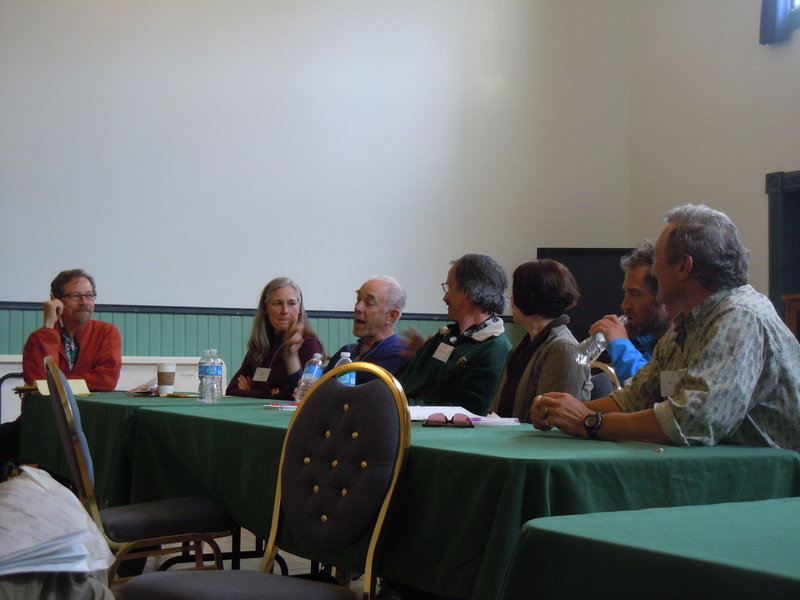 Jeff hosted a panel on dialogue, drawing from the experiences of Scott, John, Deb, and Lynn Schooler. John led an animated examination of gender and writing, and Dan elicited stories on agent/publisher relationships. After discussions of manuscripts that sell and the business of self-promotion, we celebrated the heart of our work – the words themselves – with fantastic faculty and participant readings. Dan hosts a discussion with Heather, Lynn, Kim, Deb, Seth & Nick. And this faculty championed more than each other. Whether doing memoir, children’s books, or detective novels, each writes with intense love for Alaska – an entity more character than setting. With that love, each writes from a place of social responsibility. “I’ve got that whole ‘save the world’ thing going on,” Seth said. “I feel the need for my writing to go somewhere, to make an impact.” Everyone voiced similar motivation. “So, did you come back inspired?” a friend prodded. Absolutely yes… The greatest gift was seeing that my lit star heroes aren’t superhuman untouchables but people like you and me, who work extremely hard at the story they’re compelled to tell. People who, as Nick said, “sit in the goddamn chair,” even when writing isn’t fun. Powerfully inspiring.… But a bit not exactly, also. Being in a room full of Alaskan writers made me turn a more critical eye on my work. This group emphasized a perspective different from groups Down South, and I suddenly felt very underprepared. When Deb described her tendency to submit work too soon, overly eager for outside affirmation, I recognized my own undoing. The story only you can tell. I’ll be thinking on that over the coming months, ruminating amidst salmon entrails, sideways rain, and dancing whales. In the end, all I can tell you is that there’s no sweeter sound than hearing opportunity knocking, and being available to answer the door. My gratitude to all – organizers, faculty, participants – for making this such a memorable experience. 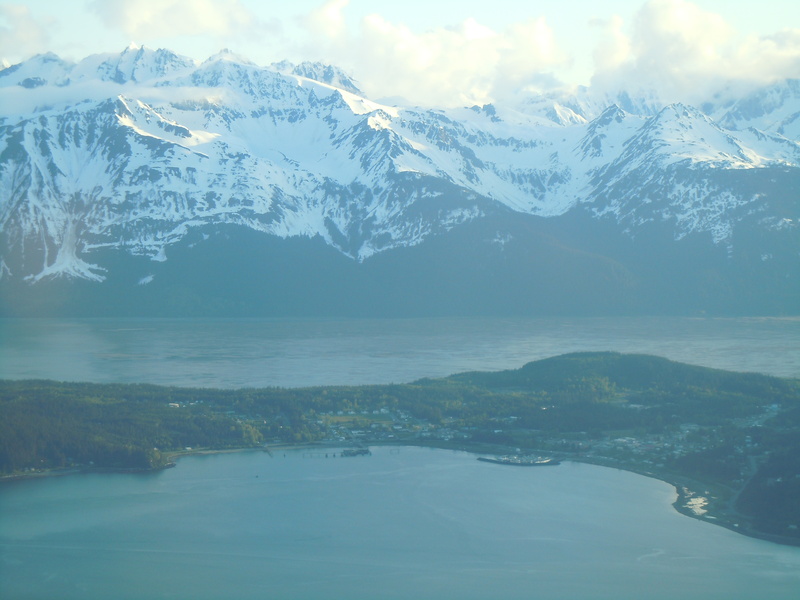 Headed back to Juneau in a five-seater, I waved to Heather’s unbelievably beautiful town of Haines.